I’m sitting in the United Airlines Red Carpet Club at Narita International Airport (Tokyo) waiting for my connection to Seoul, where I’ll be spending the next ten days. And the first thing I heard as I was settling in for the layover was a passenger page . . . for a woman who shares the name of the main female character of my novel–a Korean woman. That was cool. Although this trip has other purposes–mostly, in fact–I do plan to work on the book some while I’m in Korea. 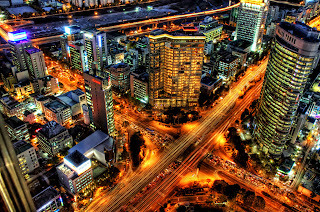 I want to continue the editing work so I don’t lose the thread of the book in my head, and I also plan to absorb (reinforce old memories of) the sights and sounds of Seoul, where some of the book is set. And if I have decent connections, I’ll try to post some while I’m there. We’ll see. There’s a lot on the agenda. >Isn't that the sort of thing that happens in Haruki Murakami novels? >What a great picture, and it sounds so cool to be able to absorb new details about the place for your novel. Hope you're having fun! >I didn't even realize you were keeping a blog while on the trip. It was great to read it and relive some of those wonderful, albeit rainy, days in Seoul.